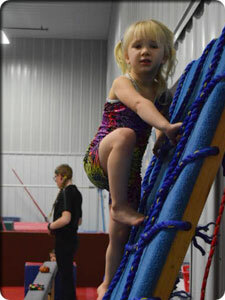 Our Tumble Bears Program is for children ages walking to four years old. 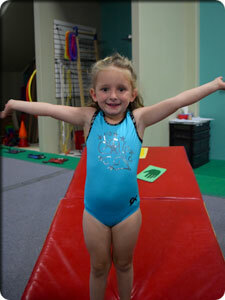 Our Koalas class is for ages walking to two years old and the parent participates in the class with child. 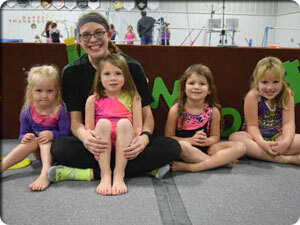 Our Pandas class is for children three to four years old. All classes are one hour once per week. 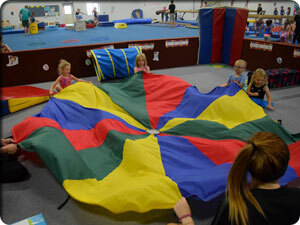 Class size is six students per instructor. 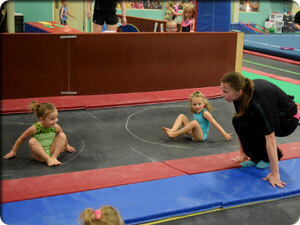 The goal of the Tumble Bears Program is to help our students with LISTENING and SOCIALIZATION skills while working on increasing STRENGTH, COORDINATION, and SELF -CONFIDENCE. This is done through the use of gymnastics skills and equipment that encourages practically every movement the body is capable of. 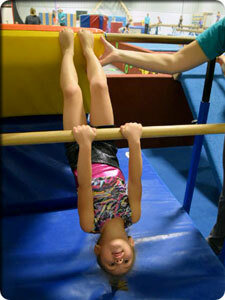 The instructional philosophy for Tumble Bears places the emphasis on the gross motor skills gained while experiencing gymnastics.